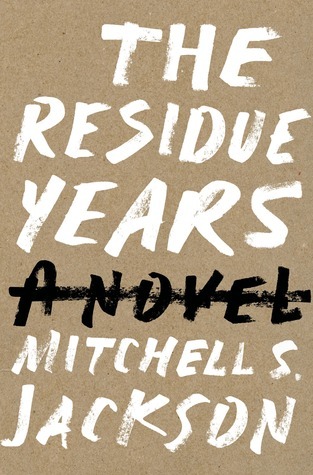 This book left me feeling depressed and bereft for a number of days. I wonder if anyone has ever been so bald before in revealing America’s most heinous errors of judgment and fairness. In the Introduction, Hedges writes that Sacco and he started out to look closely at the “sacrifice zones” in parts of America that have been areas of exploitation and neglect. It is horrifying, but necessary information. This book is a collaboration between two highly talented individuals who separately have achieved international reputations for looking at how we live, how we resolve conflict, and how the system seems to develop “forgotten areas” where human rights are not as they were promised, and are not what many of us enjoy. They start with the Indians, American Indians. Just saying the name already develops in us a sense of wariness. We’ve heard…but these men stare. They investigate. They conclude. The conditions of their survival are completely heartbreaking. We do more for bison than we do for native Americans, and I am not talking about government “handouts.” I have long thought that these folks should be dukes and duchesses in the supposedly classless American society instead of reviled and degraded, and reading the report of these two men makes me even more sure that we can hardly right the wrongs without changing something fundamental in our thinking. The book has five parts. In four of those parts, Hedges and Sacco look at different areas of the country, but also areas of our discriminatory behaviors…places like Camden, New Jersey “left for dead” while others areas of the country carry on with growth and abundance. It is disgusting to read about, and even more disgusting to realize no one can really talk this away by blaming it on the folks that are suffering. These are national problems. Sacco’s work as a graphic artist is brilliant and unforgettable. You may remember his work from several books on the Middle East (Palestine, Footnotes in Gaza) or his work on Yugoslavia (Safe Area Goražde: The War in Eastern Bosnia, 1992-1995, or War's End: Profiles from Bosnia, 1995-1996). He literally illustrates the lives people lead in these crisis areas and dares us to turn away. What he chooses to draw in these chapters is clearly clipped from reality. If a picture is worth a thousand words, he has written an opus. This book is an unusual collaboration that reads like a gut-punch. The last chapter talks about Occupy Wall Street, how it began, how it spread, what it means. The occupation in Zuccotti Park began during the last months of the writing of this book, and in Hedges’ words, “permitted us to end our work with the capacity for hope.” Perhaps so. For weeks I could not see or hear of indignities in our daily life without thinking of this book. It is instructive, and truly horrifying. Should definitely go on high school reading lists, but really we should all read this. Unelected Secretary of the Treasury Timothy Geithner had more influence on the thoughts and motivations, successes and failures of ordinary Americans than Congress ever did in the years he was in office. While Congress played politics (and not very well at that), Geithner did a lot (some might say too much) with his global role as fire extinguisher. And who was he? Those of us just watching his pronouncements and public speeches, or feeling the impact of his decisions really did not have a good picture of the man orchestrating the mayhem. Stress Test goes some way to explaining how he moved from President of the Federal Reserve Bank of New York when the monetary crisis began to become U.S. Secretary of the Treasury in 2009, and what he was thinking as the crisis unfolded. It is not a book written for Wall Street insiders. It is written with the general American public, Europe, and other countries in mind. It is, in some sense, a White Paper on the crisis, telling of personalities, events, and lessons learned. It is well worth the time invested to read or listen to it. Two thoughts competed for precedence as I listened to Geithner narrate the Random House audiobook production of his book. One was that he really is just an ordinary man in extraordinary circumstances. He didn’t have a background in finance; he studied international affairs at Johns Hopkins. He never worked in the finance industry before getting a government job at Treasury in the International Affairs Division in the 1980's. There he met Rubin and Summers, and was named Under Secretary of the Treasury for International Affairs in 1998. The second thought that rivaled the “ordinary guy” theory was that he has an extraordinary calm and one-or-two-steps-at-a time pragmatist mentality, a willingness to go “all in,” and a lack of interest in the trappings of wealth creation. I remember coming away from Robert Gates’ memoir thinking that only those that don’t want the fame and fortune that comes with vaunted public service must be the ones chosen to serve. (Remember Sam Nunn? He did his duty, oh so well, but he appeared to hate the limelight.) And Geithner must be an impressive thinker and proponent of his thinking in person and in writing, despite or perhaps because of, his measured and sometimes turgid prose. He consistently had strong supporters and powerful mentors all along his path. That doesn’t happen to everyone. Something we may not value enough is his ability to withstand withering abuse from those who disagreed with him. While there may be, and undoubtedly will be, many who could do his job, not many could handle a crisis of that magnitude while listening, adjusting, and holding firm when necessary. It was a labor of love, doing that job at that time. It occurred to me that some who recommended him for the job wanted someone else to handle the crisis—to be a fall guy. Somehow I remain convinced that disagreement with his handling of the crisis by injecting cash, propping up illiquid banks, and overseeing TARP needn’t have boiled over into personal attacks. It would have been far more useful to him and to all of us if those with reasonable alternative ideas could have presented them in a civil manner. The market scare showed us unfit and fat, at our ugliest. Nothing would have made me happier than to see the banks fail, if it weren’t that we were all involved. Geithner’s method, though he freely admits it created “moral hazard” along the way, did bring us back with limited pain and loss, to a market higher than ever in a remarkably short period of time. If anything, this may be the thing that worries me the most. One could argue now that the cash injected into the system allowed us to paper over some of the inequity issues we face, despite changes made to the regulatory system. That someone makes an outsized salary can be remedied by tax reform, but the politics have become even more contentious and disabling. What worries me is that there weren’t enough lessons learned by the folks who needed to learn them. Histories of the financial meltdown in 2007-2008 we have heard before, but what we learn from Geithner’s personal history is how the crisis looked from his desk, what he was thinking, who he was talking to, and how, as the crises widened, his perceptions changed or crystallized. This type of meltdown crisis will probably happen again, especially if our political system continues to fail. We may not use the methods Geithner used to repair the damage in the future, but everything he did will be considered in the next crisis, combed over and debated, regardless of political affiliation and ideology. This is because pragmatism really does trump ideology in a crisis, no matter what the pundits and politicians say. We wouldn’t want it any other way. It hardly seems credible that this 2014 debut collection was written by a woman recognized as one of the National Book Foundation’s “5 Under 35” in 2013. She has such old eyes. Antopol’s stories have very clear and inescapable hooks; we as readers recognize, accept, and ultimately rejoice in her power over us. Once begun, her stories are impossible to resist. We stretch them out, hoping they will last the night, the week. The human element in her characters is painfully evident and we wish to see how someone else would solve the familiar and not-as-familiar dilemmas we face. This glorious collection is a lasting achievement. In “The Quietest Man” an insecure college professor estranged from his wife feels trepidation when he learns his daughter has written a play that will be performed Off Broadway in New York. He is certain it will reveal his daughter’s perceptions of weaknesses in his nature, in his marriage, in his inability to communicate convincingly with her. All these stories have a foot in two worlds: the Old World from which parents and grandparents came, and the America to which they came. It is this wide and long perspective that gives Antopol’s stories their heft and depth and that feeling we get of “old eyes.” She seems to have understood and internalized the conflicts and conundrums faced by those tortured or jailed for their dissent in both countries. In “The Unknown Soldier,” an actor who had been jailed for his Communist Party affiliation in Hollywood during the McCarthy era is shown to have been guilty only of inattention and shallowness rather than affiliation. His son is not as hard on him as he is on himself. Oh yeah. Don Winslow has so many great things going on in this novel it is difficult to pick the best thing to tell you about. It is light and dark at the same time. At one point, one of the good guys goes to do something bad, but it turns out good anyway! That was a very cool twist of fate the pen. The six, whose interests outside of surfing do not necessarily align, trust one another implicitly, and so when when things in water or on land get seriously out of whack or when one of the team does something really dumb and needs rescuing (happens to the best of us), the team surfaces, spreads out, calls on buddies…Talk about social networking…This is California, after all. Since everyone is fit and smart and good at what they do, having a team like this at one's back is like having a superpower. Surfing for me is a little like fishing. I love reading about it. My first encounter with the concept and culture came in the form of an article by William Finnegan in The New Yorker, written years ago. It awoke in me something akin to awe, and ever since I read hoping to rekindle that early excitement I had about surfing. Winslow does a good job, but most importantly, perhaps, is that he is one of my tribe. Reading and surfing…Boone Daniels is a man after my own heart. So this story has many threads…what with all the folks out there, waiting for waves. We genuinely care about these characters with vulnerabilities, so we have skin in the game pretty quickly. The main story is that young (really young) Mexican girls are being brought in to Pacific Beach and sold for hourly trysts. The financial payoff is apparently sufficient to make liars and murderers of many marginally ethical folks, and their pressures exert a downward ‘domino effect’ on the society in which they operate. When this spills over to include Boone, he finds and condemns the source of the pressure. Winslow appears laid back in his vernacular, but anyone that can keep so many balls in the air is not casual in his writing. His writing is fit and tight and his storyline exercised and exorcised of fat. I love this stuff. If you are missing California, or not seeing enough of it in your daily commute, put a little light in your life with Winslow’s series. He gives us a sense that there are still people who have their values screwed on straight. This spectacular debut novel was a finalist for the 2014 Pen/Hemingway Award, an award that went ultimately to NoViolet Bulawayo for her astonishing debut We Need New Names. Jackson has an earlier book of stories and essays called Oversoul: Stories and Essays, published in 2012, which deserves to be unearthed. This fiction has the feel of real lives on the brink, aided by the coldly invasive government forms and drug treatment schedules that divide sections of the story. Never been booked nor needed to fill out an Incident Report? No matter. The folks here can tell you just how hopeless it feels, and how little of the whole story the forms capture. And they’ll tell you they never want to have to do it again, hoping against hope that they and everyone else in their neighborhood-sized universe has the strength to stay on the right path. Grace and Champ (“name it first, then make it so”), mother and son, come close, so close to fulfilling the promise of their names. This is the story of their curved and intersecting paths: how Grace, straight from rehab, is cherished by Champ and how Champ creates a vision of world he has control over. He’s determined: “Say it first and believe it second; that’s my psalm.” No one else is creating a habitable place for those he loves—why shouldn’t he? The Pacific Northwest has its share of the complicated rhythms of race. This story is set in the ‘hoods of Portland, where it rains almost constantly and most of the population is whiter ‘n a salt lick. There are just enough black people about to remind you the importance of family. The interleaved voices of Champ and Grace circle one another like a contrapuntal melody, each adding emphasis and context until finally coming together in a sinuous and discordant harmony. The outcome we have feared from the start has the smooth and clarion inevitability of Greek tragedy or a blues progression. How amused and flattered the infamous British traitor Kim Philby would be to discover he is again the subject of fascinated scrutiny in his home country and in America fifty years after his defection to Moscow. Ben MacIntyre has managed to reignite interest in Philby by presenting the most rounded and detailed picture yet of this uniquely talented and duplicitous man through the use of newly declassified material from MI6 files. Kim Philby rose within the ranks of British Intelligence and gave secrets to the Soviets during WWII and at the beginning of the Cold War. The outwardly charming diplomat was responsible for the deaths of possibly hundreds of covert agents working in British interests. The especial charm he radiated may have come from his “flashes of insecurity beneath his debonair exterior, the unpredictable stammer…his intellectual curiosity…and his old-world manners.” [Yuri Modin] But reading about a man whose great skill was “charm” falls strangely flat without access to the man himself; it is a little like trying to describe the performance of a great actor. In order for the reading audience to really understand how this man escaped censure for so long, we need to see the man in action. One other audio record of Kim Philby we know exists: Philby’s debriefing in 1963 Beirut by his longtime friend and colleague, Nicholas Elliott. We need to hear, not just read, this interview in order to make our own assessment of Philby’s extraordinary charm and manipulative skill, but that debriefing is still being withheld by MI6. For these reasons, Macintyre’s description of Philby’s legendary rise within the ranks of British Intelligence is incomplete and two-dimensional, despite the fulsome detail that is far more exciting than any fiction. It still boggles the mind that Philby was allowed the access he was; only his particular personality can explain that access. A spy of Philby’s particular gifts may need four or more dimensions to fully reveal his fatal charm. People who knew Philby often used the same words to describe Philby’s effect on people, which only serves to further occlude our vision of the man and his talent. Like the story of the blind man and the elephant, this biography catches some truths but the reader has the disconcerting feeling that the man himself has once again absconded with his secrets intact. One could argue that good nonfiction cannot answer every question but is successful if it impels a reader to avidly seek out additional materials in the subject area. By this standard, MacIntyre’s book succeeds admirably. While at first I was entranced by MacIntyre’s concurrent descriptions of Philby’s work for British Intelligence and his work for the Soviet Comintern, by the end of MacIntyre’s book I had more questions than answers about his work and the reaction to it in Britain. MacIntyre also (to propel the narrative I suppose) was a bit sketchy with dates. I needed some basic scaffolding to support by queries. To fill in some of the holes in my understanding, I found the gossipy 1980 history by Douglas Sutherland, The Great Betrayal: The Definitive Story of Blunt, Philby, Burgess, and MacLean, a useful addition to MacIntyre’s since it came at the material from a different angle, and gave me a more solid understanding of the thinking in MI5 and -6. That MI6 did not react to Philby’s betrayal in the way we might expect--by jailing Philby, for instance—was something I needed to understand more fully. Sutherland’s analysis was “that under no circumstances could we have afforded to put [Philby] on trial. He was a man of immense ambition, hungry for power and with a mental dexterity which made him a very formidable character…he might have convinced a jury that he was the innocent victim of a witch hunt…” MacIntyre makes the point that the spy agencies in Britain couldn’t go through a drawn-out trial revealing the vast amount of damage Philby had wreaked upon them. So they stood by and let him defect to Moscow. Sutherland’s account helped me to grasp that in those days the British government had a completely different reaction than the average citizen might expect to the discovery that some of their intelligence agents were spies. 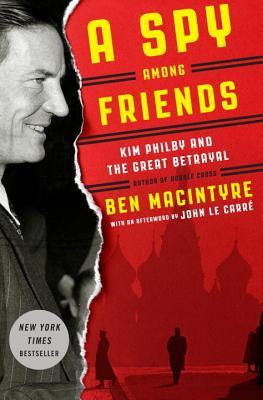 In some ways those defections, identified by former KGB Controller Yuri Modin in his book My Five Cambridge Friends: Burgess, Maclean, Philby, Blunt, and Cairncross by Their KGB Controller, shaped the government we have and the people we are today. Loss of faith by government, and in government are two different things. Kim Philby, charismatic British traitor, had something to do with both. Another thing I needed to understand after reading MacIntyre’s history was what spies actually do. I believe MacIntyre expects us to already understand this and he is not going to be the one to reveal any real secrets. The spies in this book don’t act like my idea of spies, and the government that uncovers them doesn’t act like any government I’ve known. These spies spend a great deal of time drinking and carousing with other spies, and everyone seems to know who they are. The only ones that appear to use spy craft are those acting as double agents. And our drunken spies don’t reveal anything either, according to MacIntyre, except to each other. MacIntyre also points out the insular world of spies at the time shared the common vocabulary of public schools, private clubs, and high-born parents. Many simply could not conceive that ‘one of their own’ could or would deceive them so completely for so long. I expect that has changed now. This is a blood-curdling story of deception and intrigue, one that must be read alongside the documentary. It is an unsettling, but essential read. An advance of this title was sent to me as part of First Reads from librarything.com and Netgalley.com. The advance does not have photographs, but I understand the hardcopy, when it is released in the United States in July 2014, will have pictures of the personalities featured in this book.